Bizbro was founded in 1998 with the aim of providing corporate quality design solutions for all budgets. Prior to this, Nik Bizzell-Browning was a lead designer for Redwood Publishing (one of the largest publishing groups in the UK), working on numerous high profile web sites including BT, Boots, and The Princes Trust. With over 20 years experience we are able to offer our clients informed solutions and unique insights into the online world. 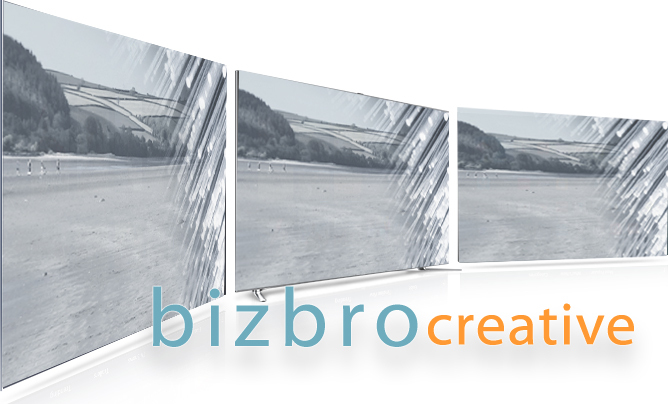 Formerly known as Bizbro Web Design, in 2014 we began trading as Bizbro Creative in order to reflect the ever changing demands of the digital world, and the diverse range of our creative work. In 2016 we moved our base of operations to Ferryside (Carmarthenshire), one of the first towns in Wales to become fibre optic broadband enabled. From a new logo to a completely new website, we can re-design (re-brand) any or all aspects of your visual presence. From brochures to Van sides we can design & integrate all aspects of your business requirements. What is the difference between an ‘app’ and a mobile website? A mobile 'app' (short for application) is a program with a user-interface (such as our contact form) that can be accessed on handheld devices. The difference is really a technical (if not semantic) one as both app's and mobile websites can be accessed on mobile devices. Since 1998 we have worked for a diverse range of clients within both the public & private sectors, from sole traders to large international concerns. Please get in touch to discuss your requirements. "“Bizbro Creative have worked for Brand Communications on numerous projects over the years, and they have consistently exceeded expectations, both on the creative front and in providing practical administrative solutions for a transactional community website. The support service provided is also second to none: any problems are dealt with quickly and efficiently. Highly recommended."